Charles River Reflections - The Boston skyline seen from along the Charles River in Cambridge. 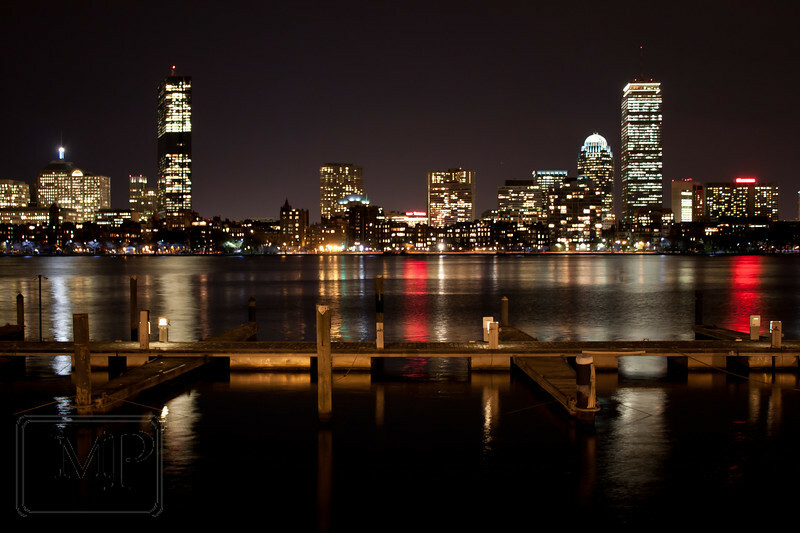 The dock in the foreground is part of the Charles River Yacht Club. The tall building on the left is the John Hancock Tower again.